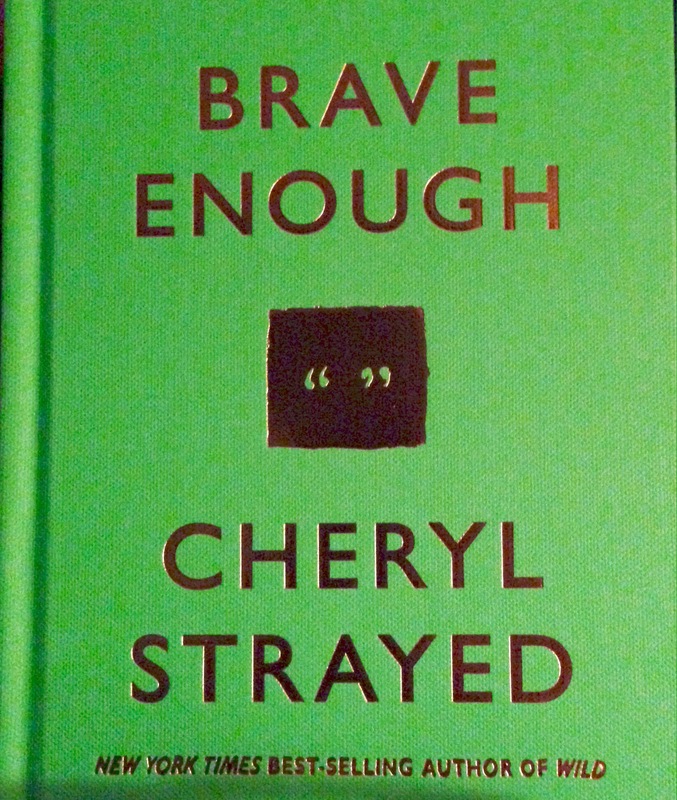 A book once found me as I wandered through Barnes and Noble, bright green and small with a collection of quotes by Cheryl Strayed. Within its pages, I find language for my longings, fears and quietest dreams. Yesterday, my son’s heart was broken for the first time and the book gave me this. My heart is outside my body, wrapped within the body of my child, and it broke yesterday. The feeling familiar – a cramp just to the left of my sternum followed by a sinking elevator of sad. Landing in my stomach and rising back up. Over and over again. My sweet boy who was so brave to love. I did not know when I birthed him that his pain would become my own. But here he is, broken in love for the first time, and I can do nothing because the pain does not belong to me. Should I tell him this is just the beginning of the brokenness? He will break again, and he will break others. Such waste and futility, this instinct to love. Should I tell him even when he marries, the breaking continues? There is no respite in marriage, the breaking is just different. Small fissures if left untended spreading like cracks across a windshield. With time or impact, they can shatter. Should I tell him when he has a child and puts forth this tender creature into the world with only its skin to protect it, he risks the worst breaking of all? Because here I am, my heart within a heart, broken. It is like no other pain. Yes, I will tell him these things. I will tell him this is just the beginning of the brokenness. He will break again, and he will break others. Even though this knowing may cause him to hesitate in love, to step to the side when it comes for him bright and alive. And I will tell him some loves break more than the heart. I do not wish those loves for him, but there is no way to tell, in that moment of blinding light, which is which. As much as I want him to stand in its path, letting it consume him and lift him and twirl him about, I want him to know what it means to be brave. Brave enough to break his own heart. I will tell him to marry, to trust another with the tending of his heart. And to know the responsibility of tending for another’s. When he notices the inevitable cracks, rather than looking around them or hoping they will spread no further, he will be brave enough to explore them. He will trace the cracks with his finger to see where they originated and where they end. He will show them to his wife and say this is where it hurts. Right here. He will be brave enough to ask for what he needs. And when she does the same, he will know to hear her, to pay attention. Because these cracks can shatter. As I sit with my heart within a heart, broken, holding him while he weeps, I feel something different. I move into it, exploring this space where a child’s heartbreak calls to a mother’s love. The feeling familiar – a cramp to the left of my sternum. But it doesn’t descend to my stomach in sadness. It stays centered in my chest. And I wonder. Can the heart break and love at the same time? I don’t know yet, but if this proves to be true, I will tell him. I will say that on the path where he stood in the way of love, where he let it consume him and lift him and twirl him about, he may one day have to walk it again, with his heart within a heart. Broken. Holding tight. I will tell my sweet boy that I am in pain because he is my child. I feel as tender-skinned and helpless as he does. I wish it were only a toy that broke, something I could replace. But he only gets one heart. And I will tell him to brace himself because there is no other pain like it. And no other love. So he must be brave, so very brave. You are a gift. Your writing is beautiful. Thank you, thank you, thank you. I checked it out and it’s lovely. I worked with college students for a number of years and think your work is very important. Keep writing! 🙂 thanks for the input. It made my day. Beautiful writing that really resonated with me. How does a mothers heart not break when seeing her child’s pain that she cannot stop. Thank you. I’ve found that it’s only by shifting into the love and holding this with the pain at the same time that I can get through and endure it. This is one of my favorite pieces. I’m so glad it resonated with you!!!! Thank you 🙂 really appreciate it, I look forward to keeping up to date with your posts and learning from your writing!! I love so many of your posts I am not a mother but you helped me understand the love of a mother more. I feel like writing like this is so important because when people gain insight into how people love or hurt or feel/deal with emotion it helps people to accommodate people more. Thank you ! Yay! I’m so glad! And I hope I didn’t scare you away from being a mom. It really is worth the climb (and losing of one’s legs).